A medium sized space with grey marley and large, wall-mounted mirrors with drapes. 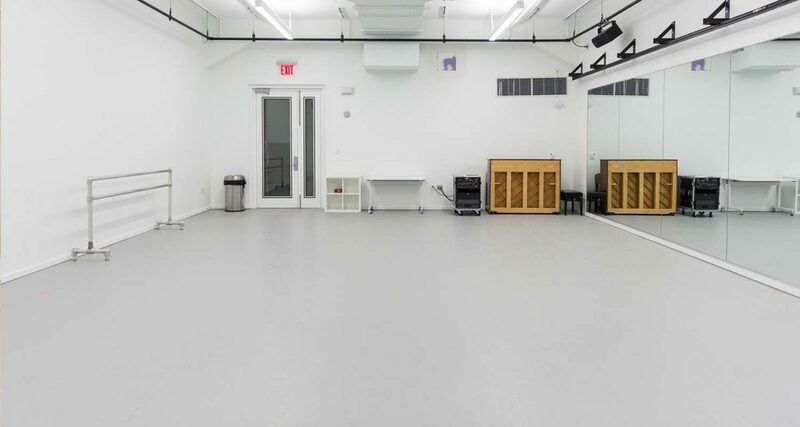 Studio V is column-free and features a piano and three large windows overlooking Broadway. Use of shoes prohibited. Studio V and Studio X are the only Next Phase Space studios without columns. 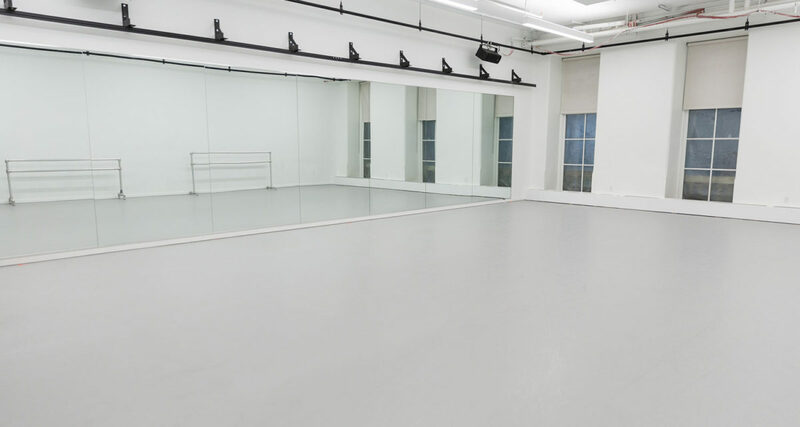 The space is large and flexible, providing a blank canvas for your rehearsals or classes. One of our favorite uses of the space was when our Digital Media Initiative activated it with an interactive projection installation.